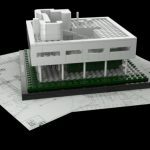 The relation between LEGO and Architecture is a longstanding one: as a response to the increasing attention to modern architecture in early 1960s, LEGO developed Scale LEGO with the ambition that architects and engineers would attempt scaling their models using LEGO. 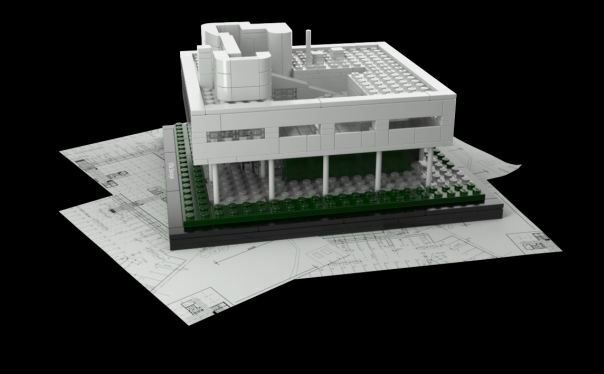 But the relationship between Architecture and LEGO can go far beyond this historical link created by LEGO itself and it comes from a creative approach based on constructionist theories which have been developed in the 60s by Seymur Papert. 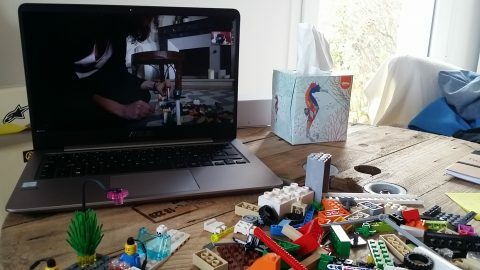 Papert was among the first ones to adopt LEGO bricks as a learning tool in education and he capitalised on the strict relationship between hands and brain: it is well-know that hands are connected to between 70-80% of our brain cells, which means that through the exploitation of this neural connection people can learn and think more and in more creative ways by connecting their hands with their brain and by constructing something material. 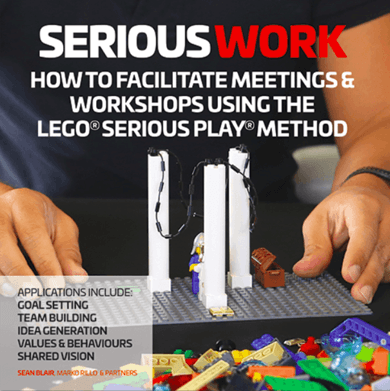 This is the assumption which lead in late ‘90s to the development of LEGO SERIOUS PLAY [LSP] a method used in organisations to help people to think, share ideas and creating teams, solve problems and define organisational strategies. 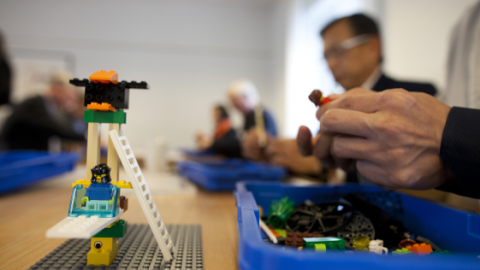 This method was developed by Robert Rasmussen, at that time the director of product development for the educational market at LEGO and it was officially launched in January 2002. 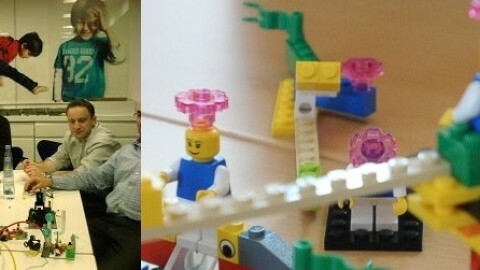 From the theoretical framework and from the overall approach of LSP, I worked out a different way to use the LEGO bricks: not with groups but with individuals. Whenever people are asked to answer a question, they generally come up with stories they already have in their mind, repeating concepts they already rationalised and avoid thinking and really delving into the questions. The answers are generally biased by contextual factors, like the environment, the setting, the situation and the relationship between individuals; thus people tend to rely on their conscious knowledge to provide acceptable and sound answers and most the time they leave out the potential new insights they could provide if they would engage in a different cognitive experience. 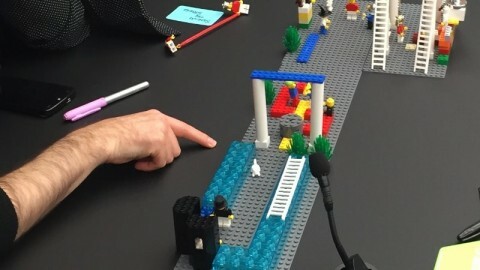 Such a different cognitive experience is that enhanced by LEGO bricks: what if, rather than answering straight forward a question, people is asked not to talk but to overcome their usual stories, to build, literally construct a material object, a LEGO model, of their answer? Thinking with hands, stimulating creative and lateral thinking, overcoming traditional stories and connecting thoughts and concepts in a brand new way produces interviews and content which is especially rich and deep, both because of the underlying cognitive processes and because of the unexpected expressive freedom people experience, being liberated by the formal linguistic structures and being free to think at another level, the metaphorical one, where the model becomes the mean to delve into their concepts and reality. 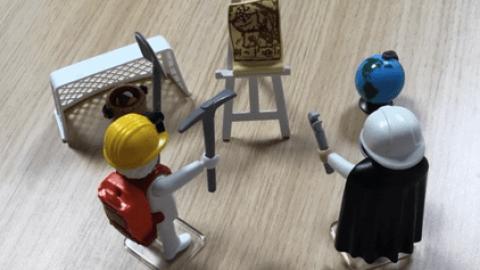 Everyone who has taken part to a LEGO interview produced new thoughts and new insights on topics they were used to talk about and the more abstract the question, the more revealing the answer. And hence the idea: what if we exploit creative people’s ability to think out of the box and explain their insights and vision about their field? 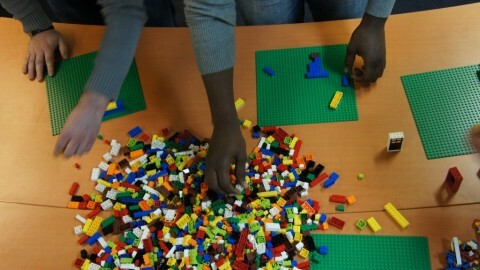 And given the strict relationship between bricks and Architecture, and considering the peculiarity of the LEGO bricks, which are colourful and come in different shapes and size, how exciting would it be to explore Architecture and fascinating abstract concepts like Colour with LEGO bricks? 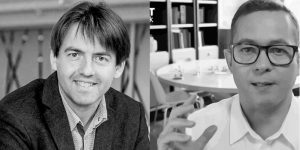 The ideas was far too exciting to be left aside and it soon became a real experiment which involved two of the most passionate researchers in the field of Architecture and colour: Gianni Cagnazzo, an architect, and Francesca Valan, an industrial designer. You can access the documentaries on the website: www.paesaggiourbano.net. 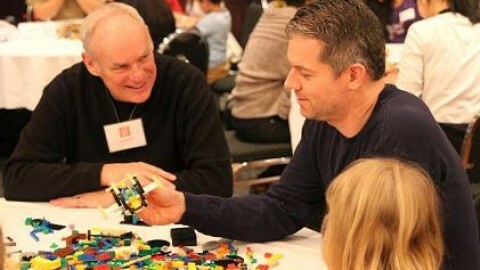 Because creative and new ideas can be developed only when we change the rule of the game, we challenge our cognitive mechanisms and engage with all our neural connections, letting the physical experience of building something to dialogue and open our thoughts and thinking processes. 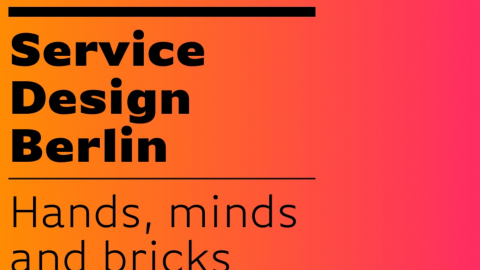 And Architects, already familiar with building processes, experience a brand new building experience, constructing something much more challenging than a building: ideas.